An Ms6.9 earthquake in the Yarlung Tsangpo gorge on November 18, 2017 caused more than 700 landslides concentrating along the gorge’s great bend, and three dammed lakes. 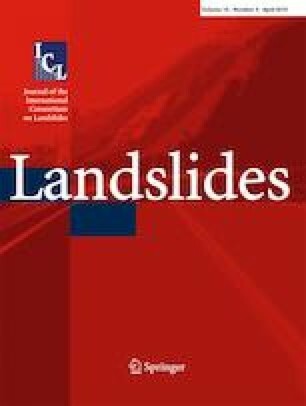 The location and area of the landslides are obtained by interpreting high-resolution satellite images before and after the earthquake. About 31.45 Mm3 of sediment from the landslides are distributed in seven catchments that are highly susceptible to debris flows. In 2018, at least three large-scale glacier-debris flows happened at Sedongpu, one of the seven catchments, and blocked temporarily the main river twice. The subsequent inundation and outburst floods resulted in infrastructure and property losses extensively beyond the high-seismic-intensity zone. Increase in the frequency of debris flows is attributed to the instability of glaciers and sediment supply caused by the earthquake. Glacier-debris flows will remain active for a long period due to massive glacial till, abundant rainfall, and meltwater. Geomorphic hazard chain triggered by such a mid-strong earthquake demonstrates that although coseismic landslides only occur in a limited area, the space and duration of the quake-induced hazards could extend largely under special geographical conditions. This work has been supported by the National Natural Science Foundation of China (Grant No.91747207 and 41790434) and the Research and Demonstration Program of Precise Warning and Emergence Disposal Technologies against geo-hazards in Jiuzhaigou scenic area (Grant No.KJ-2018-23).